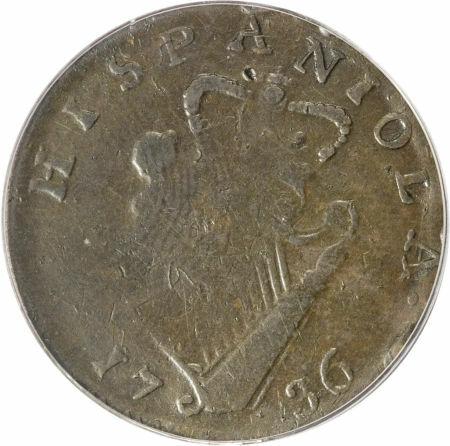 "This is the extremely rare Auctori Plebis token with the bust facing to the right, and with the reverse featuring HISPANIOLA above a harp, with the date below. 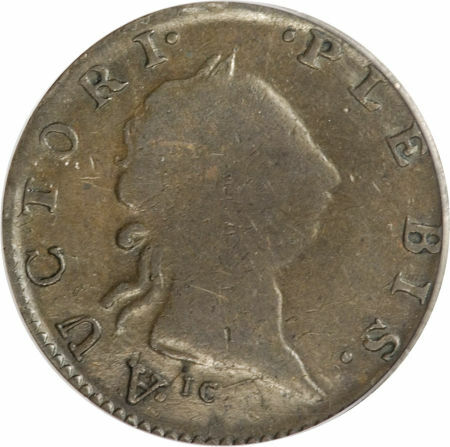 As Breen points out, aside from the obverse legend, there is no proof that these rare Bust Right mules are related to the standard Auctori Plebis token with the bust facing to the left. Nonetheless, coppers from the era were often exported to America, and these pieces are considered an important part of the American colonial series."